Some of what the shouting, pro and con, was about. Young Pogorelich, aged 22-24, 1981 and 1982.Originality,intensity,vitality,coherence,some excesses perhaps, yet already glimpses of his “deconstructions” , different excesses, to come now late in his career. Whether you enjoy ( I did ! ) 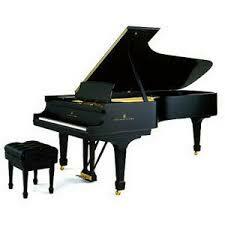 , or disagree with, these interpretations , not to be missed for pianophiles,IMHO. April 15,1981,Concertgebouw,Amsterdam,about 6 months after Warsaw Chopin Competition,1980. Symphonic Etudes, Op.13 ( !! ), without the posthumous variations. Polonaise voor piano, op.44 in fis kl.t. Sonate voor toetsinstrument K.1 in d kl.t. 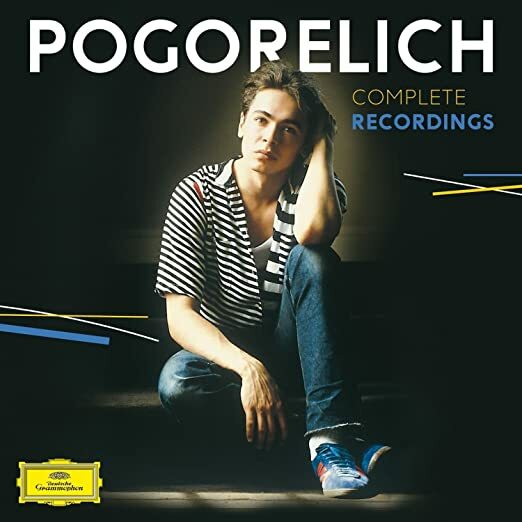 I've just finished listening to the 1982 Concertgebouw recital, and have had an extremely positive response to Pogorelich's playing, especially in the Beethoven Op. 111. YMMV, but I highly recommend to all here this outstanding concert. Thanks, Rach3 for sharing with us. Pogorelich, at that time, was a most exciting and brilliant artist. What a generous program, and not a dull moment! What a generous program, and not a dull moment! Glad you enjoyed. I agree the Op.111 was quite interesting and original , especially for a 23-24 year old. Do also listen to the 1981 as well, where I felt the Chopin Prelude and Scherzo , as well as " Gaspard", were also remarkable. Pity he is no longer " with" us. If I recall aright, he did some superb Prokofiev sonatas around that time, which I got on LP. Yes, VI was issued on CD with "Gaspard." Extraordinary playing of both titles; I still have the original release. Have just finished hearing the 1981 concert as well, and much enjoyed it. I've known his excellent "Gaspard" since it was first issued on CD, and his live performance is not much different from the commercial recording. Early Pogorelich is one of my guilty pleasures! Thanks again for finding these. Yes, like you, Brian, I have the 14 originally-released CDs (including some of the LPs that fortunately made it to CD). Individualism is right-on about his playing. I felt the same way about Russian pianist André Gavrilov, who, unfortunately, went off on a rather very deep end. Gavrilov's early recordings for EMI/RCA/DGG offered some exceptionally fine playing, especially in the music of Bach. A K&K Verlagenst CD of an all-Chopin live recital from 1999 totally shocked my ears very negatively in this disc. So, what has happened to the careers of both Pogorelich and Gavrilov? No recordings from either in one very long time. Thank you, Rach3. I was able to read the Gavrilov link below and was disheartened to see what he has been experiencing during the last eight years. Tragic, indeed. Thank God for the freedoms we have and enjoy! I was NOT able to open the link on Pogorelich. Can you double-check that link and send it again. Many thanks. I was NOT able to open the link on Pogorelich. Can you double-check that link and send it again. Sorry. Here is the Guardian review , plus some other items re; Pogorelich recently.The death of his wife in 1996 , who was his teacher in 1980 , had profound effect. “This was, apparently, Ivo Pogorelich’s first appearance at the Festival Hall since 1999. The Belgrade-born, Croatian pianist may have had a difficult time over the past two decades, but this return was, by any measure, a wretched affair, neither technically or musically of a standard that should have been put before a paying audience as part of an international piano series. Pogorelich was always a wilful, uneven pianist, capable of mixing technical brilliance with crude, crass interpretative ideas. Now that technical brilliance has apparently disappeared, leaving only the crassness behind. His Festival Hall programme was certainly a boldly ambitious one, following the Dante Sonata from the second book of Liszt’s Années de Pèlerinage with Schumann’s majestic C major Fantasy, and prefacing Brahms’s Paganini Variations with Stravinsky’s Three Movements from Petrushka. There can be no hiding places in a sequence like that, and it was clear from the first few minutes of the Liszt that Pogorelich’s technique was not going to be up to the challenges he had set for himself. The results continued to be as uncomfortable and profoundly unmusical as anything I’ve heard in a concert hall in many years. Pogorelich gave no hint of why he had chosen these works, or what his personal response to them was. Textures were unbalanced, emphases misplaced and phrasing often nonexistent, with pauses and exaggerated rubato introduced in the most inappropriate places so that all sense of continuity or shape was eliminated. Most distressing of all, there was no apparent concern for keyboard colour or touch; the playing was so brutally loud and crude that, well before the interval, the Steinway was audibly suffering from his assault. A 2016 Slipped Disc piece with various Comments below. Wow! What an embarrassing review. I had heard Pogorelich was greatly affected by the death of his teacher/wife. And so it appears that his early DGG recordings may well represent him at his then best. It is a tragedy and very sad. Some of what the shouting, pro and con, was about. Young Pogorelich, aged 22-24, 1981 and 1982.